The BiPAP machines or Bi-level PAP are breathing devices, similar with CPAP, that uses bilevel positive airway pressure to treat patients with central and obstructive apnea. Bilevel positive airway pressure means that the machine delivers air under higher pressure as the sleeper inhales, and switches to a lower pressure during exhalation to make it easier to breathe out. The machine is usually recommended by sleep doctors if you have central sleep apnea, severe sleep apnea, or if you failed the CPAP therapy. Why Would You Use Bi PAP Machines And Not CPAP? The Bi PAP machine was invented for people who have difficulty exhaling against the pressure of CPAP, or having respiratory failure (see the next video), and make the treatment more tolerable. 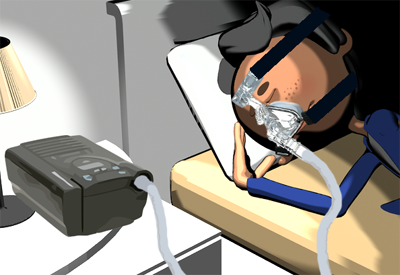 If a CPAP user cannot tolerate the machine due to extremely high pressures required to keep the airway open at night, the BPAP machine is the alternative. The patient will receive a lower pressure on exhaling, so the breathing will be more comfortable and effective. it can be used for adult respiratory distress syndrome (ARDS), and various neuromuscular diseases. 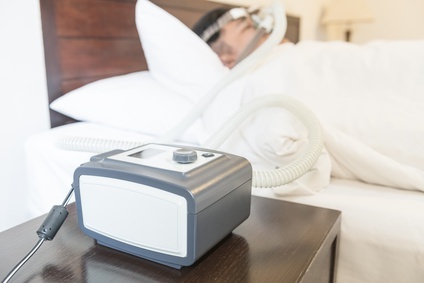 the new technology for BiPAP, named expiratory pressure relief (C-Flex), monitors the patient's airflow during his expiration and reduces the pressure in response to the patient's needs. Toward the end of the expiration, the pressure is increased again to prevent airway collapse. With C-Flex, the recent studies have demonstrated increased comfort levels to improve patient adherence. Do you have central sleep apnea? Studies have shown that central apneas related to cardiac failure or cerebrovascular accident can be treated with BPAP. In some cases, central apneas may occur with titration of BPAP. The cause is not certain, but is probably due to increased lung volume when the air for inspiration (IPAP) is significantly higher than the air used for expiration (EPAP). Another disadvantage is the cost of the Bi-PAP machines, which is higher than a regular CPAP machine. To rent a BiPAP unit you need to pay about $350 per month, and if you want to buy the unit, the cost is about $3000.